Author of experimental animated films, mostly performing the role of the director, cameraman, screenwriter and set designer at once. Author, director, operator, script writer and set designer of experimental animated films. Rybczyński was born in Łódź in 1949. He finished an art high school in Warsaw. After graduation, Rybczyński worked in the Studio Miniatur Filmowych (one of the oldest film production studios in Poland, which produced over 1500 works, most of them animated). In 1969 Rybczyński went to study at the cinematography department of the Łódź National Higher School of Film, Theatre and TV. As a member of the vanguard group Warsztat Formy Filmowej, Rybczyński did the camerawork on a few etudes, features and short films, including three films by Andrzej Barański, a documentary Wanda Goscimińska - Włókniarka by Wojciech Wiszniewski, and the feature Dancing Hawk by Grzegorz Królikiewicz. Upon graduating in 1973, Rybczyński went on to make animated films at the Se-Ma-For Study in Łódź. He spent two years in Vienna on a Polish Film contract, mostly teaching. After Tango, a film produced at Se-Ma-For, which won an Oscar in 1983, Rybczyński decided to stay and work in the US, initially making short video films and music videos commissioned by TV channels. In 1986 he started using High Definition, a computer-integrated system, and in 1987 opened his own studio, Zbig Vision Studio, in Hoboken near New York. Rybczyński became a highly popular maker of music videos, creating approximately 30 of them in a span of three years, including the remarkable work that became the video for John Lennon's Imagine. Zbig Vision Studio produced commercial spots as well, yet it is memorable as the place where Rybczyński's most interesting works in the HD system were produced, including Stairs, Fourth Dimension, Orchestra and Kafka. At the time Rybczyński worked closely with the painter Miłosz Benedyktowicz, using his set design ideas. In 1992 Rybczyński, who had veered from commercial to more ambitious art, was no longer able to support the production and was forced to close his Studio. 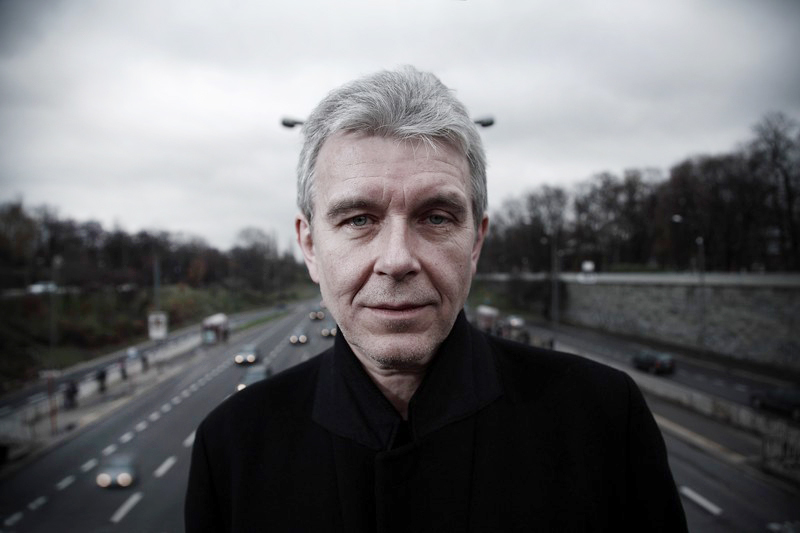 Between 1994-2001 Rybczyński stayed in Germany, working at the Centrum für Neue Bildgestaltung (CBF) in Berlin, an international experimental film centre which he had co-founded, and lecturing at the Kunsthochschule für Medien in Koeln. In 2001 he returned to the US to work on new computer software for film production. In 2008 Rybczyński's alma mater, the Łódź National Higher School of Film, Theatre and TV granted the director an honorary PhD. In 2009, after years of working abroad, Rybczyński has decided to come back to Poland. He took up the position of the head of Drimage – 3D Animation & VFX Academy, established in association with Wyższa Szkoła Biznesu – National Louis University in Nowy Sącz. He also run a school called Wrocław Visual Technology Studios, associated with the Wytwórnia Filmów Fabularnych [editor's translation: Fiction Films Studio] in Wrocław. The institution was engaged in producing films, conducting research and educating specialists. So far, Rybczyński's biggest success is the Oscar for the film Tango in 1982. It was the first Oscar ever to be granted to a Pole. 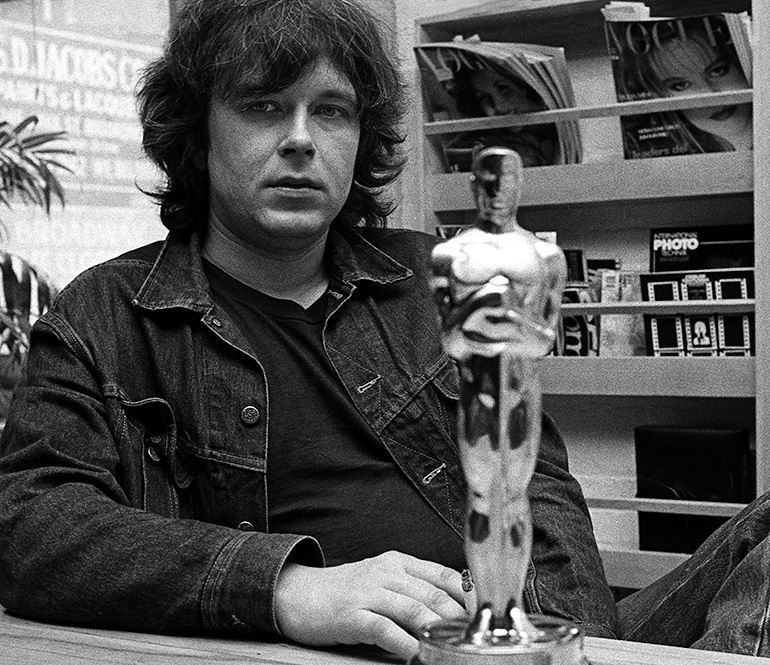 Rybczyński is also the winner of other prestigious awards, including the Grand Prix at Oberhausen for New Book in 1976 and Tango from 1981 as well as the Golden Lion for the best videoclip awarded to Imagine at Cannes w 1987 and Prix Italia for Orchestra in 1991. In Poland, he was recently granted the Gloria Artis medal and the Katarzyna Kobro Award. Rybczyński belongs to the line of Mélies's descendants, the cinematic craftsmen combining extraordinary plastic imagination with an aptitude for inventing and constructing, and endowed with Benedictine patience. In his book The Sorcerer's Lantern, Aleksander Jackiewicz called films by Georges Mélies, the late nineteenth and early twentieth century pioneer of feature cinematography, 'prestidigitatory' in the most favourable sense of the word. The same can be said of works by Rybczyński. Like Mélies's, Rybczyński's films (Stairs, Orchestra, Orkiestra, Kafka) are referred to as performances, and there is the shared propensity to scorn and use self-irony. Rybczyński bowed to the author of Trip to the Moon, reaching for his unrealised script of The Duel. According to what he has professed in a number of interviews, Rybczyński went to study camerawork so that he could make films entirely on his own rather than relying on co-operation between the director and cameramen. The camera work he did for his friend, director Andrzej Barański, along with his later work for Bogdan Dziworski, Wojciech Wiszniewski, Filip Bajon and others were a prelude to his own projects. The only full-length feature in which he was involved, Grzegorz Krolikiewicz's Dancing Hawk from 1977, was deemed by Rybczyński a lucky choice given the director's creative attitude to the composition of the shots. From 1972 onwards Rybczyński worked on his own films, notably Square, Take Five and Plamuz. These early works, in which Rybczyński experimented with the form, are characterised by the prominence of dynamic, changing abstract forms and synchronisation of the picture with the music. Soup (1974), which portrayed an ordinary daily routine presented in a way unattainable by the senses, was the first film to delineate the artistic path which Rybczyński would consistently follow in his later productions. The film was invented to register the world. Yet then they noticed that if more pictures were shot and then played at a normal speed, you would see the world in a slow motion. The camera that was meant to re-create the reality began to see record much more than we do. Rybczyński, who considers the human perception of the world limited and relative, looks for ways to find a new point of view and wants to see more, better and differently, for example a few places at one time, like in New Book, or one place at many times, like in Tango, and involves the spectator in the play with time and space. Tadeusz Sobolewski has called the trick of dividing the screen into parts, used by Rybczyński in New Book, 'the simultaneity of story-telling'. Rybczyński enhanced it further in the famous two-minute commercial of the GMF Group insurance company, showing a number of scenes of daily lives of families dwelling in a twelve-storey high-rise simultaneously, each floor symbolising a different life stage. Rybczyński does not need to reach out for heavy-weight topics to achieve the goal of playing with time and space, his films such as Soup, New Book, Holiday or Tango being a sort of exercises in a new perception of trivial events. The stories of Rybczyński's films are either extremely basic, next to none, like in his works made in Poland (involving huge effort and modest technology), or, conversely, complicated as dream visions, like in his later output. Rybczyński is fascinated with creating new worlds, his own reality: 'I want people to look at films without regarding them as imitations of the world', said Rybczyński in the above-cited interview. His role-models are Walt Disney, the creator of the cartoon reality of the world, as well as Chaplin and Lucas 'who did not imitate the reality, but enriched it'. Rybczyński builds the world of his films in a Demiurgic manner, making creative use of archetypal motifs, clichés and pastiches of well-known works. Miłosz Benedyktowicz, a painter who worked for a few years with Rybczyński, described his work - 'What he creates is basically a manipulation of time and space. He is not much interested in reality or history of art at the moment -he borrows freely from all painting as needed'. Frankly speaking, it would be wonderful to have a technique allowing to make paintings and whatever scenes, landscapes, props you want. To free oneself from reality, from the so-called realism, which is not realism at all. To free oneself from the realism of the circumstances existing only and exclusively at a certain place and time, for the reality is in us and not in some 'objective' world. The world exists in our imagination, in our experiences, memories, conjectures, anxieties'. A traditional film picture once fixed on the tape, can be modified only to a small extent and the montage combinations are limited. The electronic picture can be electronically processed to create a new reality, non-existent in front of the camera. You can make non-existent sceneries, remove people and objects from the shots and bring them in exactly where you would dream them to be. You can make all sorts of wonders, play a sorcerer. Sometimes one picture in a film by Rybczyński will consist of a few dozen separately photographed elements. They can be of any size, and there can be actors moving in-between. 'I have built a machine making moving pictures', he said to Tadeusz Sobolewski. 'I have put all sorts of things, such as a wall, in front of the camera lens, and the machine builds, say, a picture of a room from that wall'.Movement, rhythm, repeatability are complicated things. The equipment which Rybczyński has made allows him to produce the effect of flowing or rotating spaces, such as in Manhattan, Washington or Orchestra. The substance of animation in all of Rybczyński's films is the pre-registered reality. All of his films are about the same thing: searching for different ways of creating the film narrative, attempting to break away from the limitations of montage, sequential shots and sets and moving to one set. There is no challenging Rybczyński's formal accomplishments, and stories about him focus primarily on the analysis of his technique. Yet the message of his films, however equivocal, is important, too. Asked about it, Rybczyński hardly ever gives an exhaustive answer. The prominent theme of his films is usually referred to as 'travelling through life' or 'reflection on human fate', that is on the banality and inevitability of all the events from birth to death and of the death itself. Can this be reconciled with all of the prestidigitatory, technological tricks applied in his works? The answer is 'yes', for Rybczyński's art successfully bridges all such contradictions. an exclusive art, exceptionally beautiful and at the same time folksy, free of self-importance and whims ... all the time playing and joking, even though deep down you can sense serious talk. Something like the Mobius strip of which Rybczyński makes the burning circus ring for lions to jump through. While it would be unfair to Rybczyński to see no more than technological experiments in his works, he himself avoids talking about existential depths and metaphysics when interviewed. His statements suggest that he is simply disgusted by the cliches smacking of school- children's composition, such as 'human fate', 'the drama of human existence' and the like. This is not to say that the topic as such is alien to him. Do you know how many seconds life lasts ? I say I do not know and Zbyszek says well, on the average, some number of billions, and then says look, do you know how much I have lived so far, and starts counting how many billion seconds have passed for him, and falls asleep in the middle of this sum. That's Zbyszek! 1974 Zupa / Soup. A man wakes up and starts his day before going to work. A surrealist dream turns into a horrible reality, shown in a special way, from an uncommon point of view, such as tooth-brushing seen from the inside of the mouth cavity. The colours are also strange, different from what they look like to the human eye. Things are larger, as if seen through a looking glass, repulsive, and represent a symbolic image of the overwhelming reality. Awards: 1975 - International Animated Film Festival, Kraków, Silver Dragon (Grand Prix); 1978 - International Film Festival in Chicago, Golden Badge. 1975 Nowa książka / New Book (camerawork with Jerzy Zieliński). A simple story of a man in a red coat and hat who leaves his house to get something done in an office. He goes by bus and on his way steps into a bookshop to buy a book. The office is closed. He comes back three times, meets a friend and spends a short while with her in a cafe, finally going back home. Rybczyński's experiment involves splitting the screen into nine parts so that the spectator can simultaneously watch all nine town locations. All of them are critical to the story even though the protagonist, the man in the red coat, may not be there, for there is always some action happening in his absence. For instance, the girl who also was on the bus, starts a quarrel with construction workers who splashed paint on her, finds support from a soldier and soon they leave together. Other events involving other people are also shown. Awards: 1976 - Grand Prix at the International Festival of Short Films in Oberhausen; 1977 - Grand Prix at the National Festival of Short Films in Krakow; Mention at the International Festival of Short Films in Huesca; 3rd prize at the International Festival of Documentaries in Melbourne. 1975 Oj, nie mogę się zatrzymać / Oh, I Cannot Stop! A story of a monster which, moving at an enormous speed, devours whatever comes its way: people, animals, cars, buildings. It accelerates every minute, the objects falling into the monster's mouth at a break-neck speed. The massacre has been filmed using the so-called subjective camera and the viewers watch it from the point of view of the monster, it remaining unseen. 1976 Lokomotywa/ Train Engine (after Lokomotywa, a poem by Julian Tuwim). Made with the use of classical cartoon animation and combined photographs, the film adds more humour to Tuwim's rhyme. Awards: 1977 – Brown Goats at the Festival of Children's Film in Poznan. 1976 Święto / Holiday. Distant relatives visit a family living in a house at the outskirts of a city or in a small town. Rybczyński shows boring, routine, meaningless activities, stripped down to empty gestures and devoid of any beauty, shot as a documentary and colour-processed. The automatic nature of the activities is emphasised by repeated, rhythmical reversal of tape in certain situations, such as kissing and hugging when saying hello and parting. Awards: 1977 - Short Films Festival - DKF Zygzakiem, Warsaw, Audience Prize. 1976 Weg zum Nachbarn / Way to the Neighbour. Made in Austria; its later version, slightly modified and called Friday - Saturday, was made in Poland. While the male protagonist falls asleep at a sign-post, the world turns - literally - upside-down and then bounces back, with only the sign-post turned around. 1977 Piątek - Sobota / Friday - Saturday. A Polish version of Weg zum Nachbarn. 1979 Mein Fenster / My Window, produced in Austria. 1980 Media. The film combines three realities: of the TV screen, of the montage table screen and of a room. (Procekt, March/April 1987). 1980 Sceny narciarskie z Franzem Klammerem / Skiing Scenes with Franz Klammer. Jointly with Bogdan Dziworsk. An impressionist image of the Austrian skier (no dialogues). 1980 Tango. The plot, or rather the plots, are set in a passage room. Initially empty, the room gets increasingly populous and the plots mushroom. A ball falls inside the room and a boy comes in through the open windows to take it. Other people appear and perform simple activities, for example a woman changes her baby's diaper, another woman gets dressed, a man eats soup at the table, another man puts a parcel on a cupboard, someone steals the parcel shortly afterwards, etc. The activities of these people get repeated a number of times to the rhythm of the tango and take place simultaneously so that some 30 people stay in the room at the culminating point, never criss-crossing, a result of the director's painstaking calculations and Benedictine work. Assuming that the protagonists appear on the screen at the same time and pass without noticing one another, the film has been interpreted as a symbolic tale of alienation, or even of paucity of housing in the communist Poland (!). Given Rybczyński's interest in time and space, it seems more appropriate to interpret Tango as an attempt to show a number of tenses in one place, for the audience sees simultaneously people who stayed in the room at different times - "the room's memory of its tenants", to use the words of Ryszard Ciarka. Major awards: 1981 - Brazowy Lajkonik - Grand Prix of the National Short Films Festival in Krakow; Grand Prix and an ex aequo FIPRESCI award at the IFFF at Oberhausen; Special Jury Award and Audience Award at the IFFF in Huesca; Grand Prix and Audience Award at the IFFF in Annency; 1983 - OSCAR 1983 for the Best Animated Short Film. 1981 Wdech-Wydech / Breathe in, Breathe out, jointly with Bogdan Dziworski. A funny film about patients in a spa. 1984 The Day Before – video. 1984 The Discreet Charm of Diplomacy – video. 1987 Steps – video. Rybczyński introduces contemporary American tourists into the famous Odessa stairway scene of Eisenstein's The Battleship Potemkin, creating a compelling illusion of the two worlds merging together. The tourists appear among Eisenstein's protagonists as if they were visiting the black-and-white film, and mix into it. One of them films Eisenstein's macabre scenes, the way tourists do. "Depending which aspect grabs our attention most", writes Marek Hendrykowski, "the film can be interpreted in three different ways: as science-fiction of the technotronic age as a happening with elements of a thriller or as a piercing socio-political satire". Awards: 1987 - ITS Monitor Award; Special Award of the IFF Rio; 1989 - Premio Internazionale Leonardo, Milan, for contribution to video art). 1988 The Fourth Dimension – video. 1988 Duel – HD system (after G. Mélies's scenario). 1988 Fluff – HD system HD. 1990 L'Orchestre / Orchestra - HD system. A work rich in cultural references, split into a few sequences illustrated with classical music pieces. Line many other films by Rybczyński, this one too illustrates the symbolic course of human life, with a hearse appearing at the beginning and the end. The stream of pictures flowing through the film has a symbolic significance. "The way human fate is presented", said Tadeusz Sobolewski in a discussion at the Institute of Art of the Polish Academy of Sciences, "holistically, in one picture, is reminiscent of medieval or renaissance allegories". Major awards: 1990 - Special Award of the International Film Festival of Electronic Films, Tokio-Montreuex; EMMY Award for outstanding achievement in the area of special effects; 1991 - Prix Italia for special effects; 1991 - Grand Prix at A.V.A. Festival, Tokyo). 1991 Manhattan – HD system. 1992 Kafka – HD system. In his explanatory notes, Rybczyński calls it a maze-film combining various works by Kafka. The protagonists merge into one another, turn into persons from the writer's biography and all of them taken together become Franz Kafka. Everything is constrained to a couple of interiors, transformed on the way. 2003 Opportunities (second version) on compilation album "Pet Shop Boys: Pop Art - The Videos". 1970 Kręte ścieżki / Winding Paths - sketch (directed by Andrzej Barański). 1971 Dzień pracy / Working Day - sketch (directed by Andrzej Barański). 1971 Kręgle / Bowling - sketch (directed by Tadeusz Palka). 1972 Application - sketch (directed by Andrzej Baranski). 1974 Chronicle of a Faience Factory - documentary (directed by Andrzej Papuzinski). 1974 Iron Pot (directed by Wadim Berestowski). 1974 Conversation - TV feature (directed by Piotr Andrejew). 1975 Wanda Gościmińska - Włókniarka / Textile Worker - documentary (directed by Wojciech Wiszniewski). 1975 Groping in the Dark (jointly with Jerzy Zielinski and Zbigniew Wichlacz; directed by Piotr Andrejew). 1976 Wideokaseta / Videocassette (directed by Filip Bajon). Zbigniew Rybczyński is the author of a number of music videos. His most famous work is Imagine (1986) to music by John Lennon (Awards: 1987 - Special Award at IFF, Rio de Janeiro; Silver Lion for the best music video at IFF Cannes). He has also made music videos for Art of Noise, Chuck Mangione, I Am Siam, Yoko Ono, Mick Jagger, and the Polish group Lady Pank, and a number of commercials, including GMF Group (1989). Miscellaneous: Zbigniew Rybczyński is the protagonist of two documentaries: Zbig (2000) directed by Natalia Koryncka-Gruz and Tango – Oscar for Animation (2001) directed by Artur "Baron" Więcek.